The birth control pill is one of the best ways to avoid unplanned pregnancies. Safe, highly effective and incredibly easy to use, it’s no wonder that the pill is the preferred contraceptive for millions of women all over the world. However, the pill has plenty of other benefits apart from avoiding pregnancies. Here’s a look at the other benefits apart from contraceptive use. Since the pill is a hormonal method of birth control, it helps to regularise the hormonal fluctuations in the body. This helps to deal with several menstrual problems like heavy bleeding, irregular periods, PCOS (Poly Cystic Ovarian Syndrome) and other period problems like excess facial hair growth and acne. 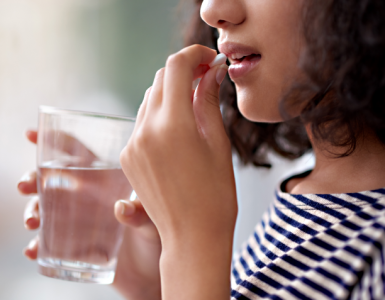 What more, according to a study by Guttmacher.org, around 31% of all women who use birth control pills state that they experience less painful periods after going on the pill. The reason for this is that hormonal birth control prevents ovulation. Since you don’t ovulate, you don’t experience the painful cramps that occur during ovulation. Additionally, it helps to make periods lighter and more consistent, every month. Hormonal fluctuations are one of the primary reasons for acne. This is why, acne often peaks during adolescence, when the body is undergoing massive hormonal changes. By minimising these fluctuations, you can reduce acne. The pills contain synthetic versions of the two hormones, progesterone and oestrogen, both of which are highly effective in preventing acne. This is one of the most significant long-term benefits of birth control pills. 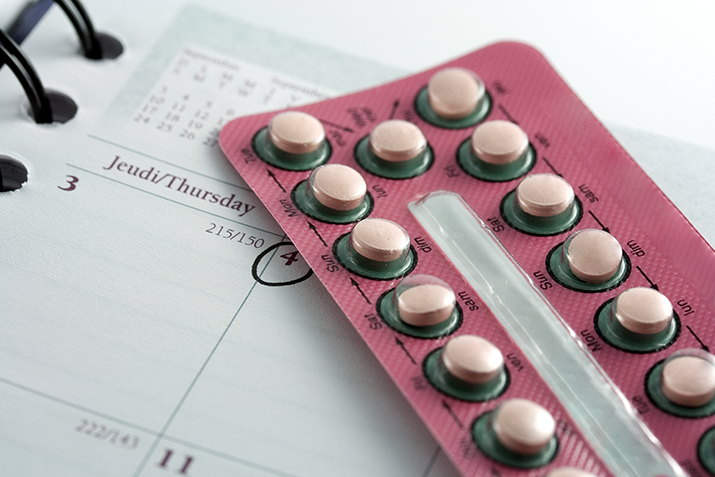 According to a research by the AAFP, women who take birth control pills regularly are 50% less likely to contract uterine cancer. What’s more; these effects last long after you stop taking the pill, even for up to twenty years. Apart from uterine cancer, the pill also reduces the chances of ovarian cancer and ovarian cysts. These are small fluid-filled sacs that form in the ovaries during ovulation. Though they aren’t dangerous, they can be quite painful. By preventing ovulation, the pills also avoid the formation of these cysts. It’s common for women to experience a dip in their energy levels and mood during the days before their period. This is known as PMS (Pre-Menstrual Syndrome), which is a result of hormonal fluctuations. The more severe type of PMS is known as PMDD (Pre-Menstrual Dysphoric Disorder) and has a varying range of psychological and emotional symptoms. The combination birth control pill helps in relieving the symptoms of PMS and PMDD. Experts believe that menstrual migraines are a result of the drop-in progesterone and oestrogen levels before the start of the period. Since birth control pills keep the supply of your hormones steady, it helps to avoid painful migraines that occur before and during periods. Endometriosis is a condition where tissue grows inside the uterus, causing heavy and painful periods. When you take birth control pills, it helps to thin the lining of the uterus, thereby avoiding the intense pain of ovulation. Yes, this is one of the biggest advantages of birth control pills. It helps women to be in charge of their reproductive health. They can decide if and when they want to get pregnant. Other common contraceptives like condoms require you to be dependent on your partner to avoid pregnancies. Not with birth control pills. By choosing birth control pills as their mode of contraception, women have the freedom to decide what happens with their body. There’s no doubt that the pill is one of the most effective birth control methods. However, there are several types of pills that have varying doses of hormones in various combinations. Make sure to consult your healthcare provider to pick the right one that suits your body and medical conditions.